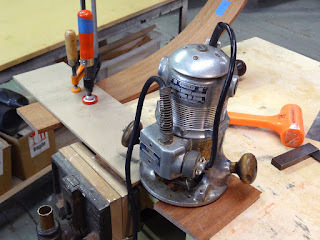 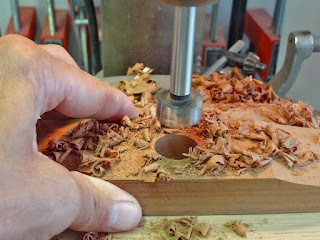 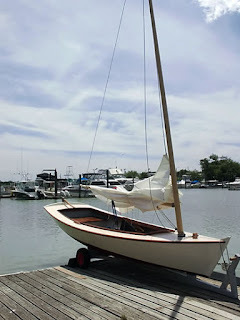 I've actually been moving along on the boat, but I'm woefully behind on the blog posts. 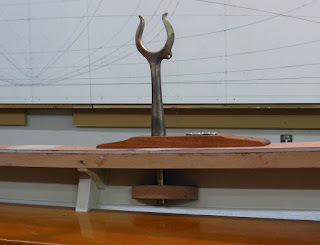 I hope to catch up soon, and I am going to make an effort to keep up with it, and also to add some non Matinicus posts. 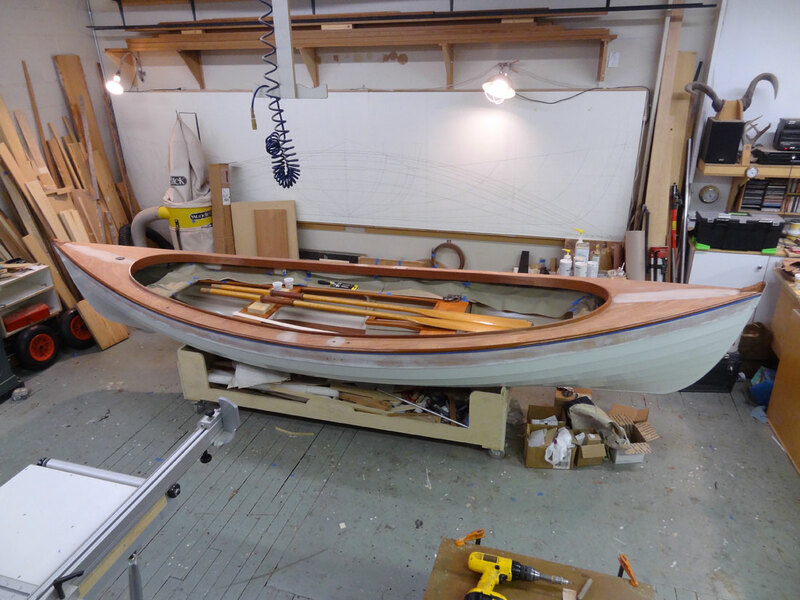 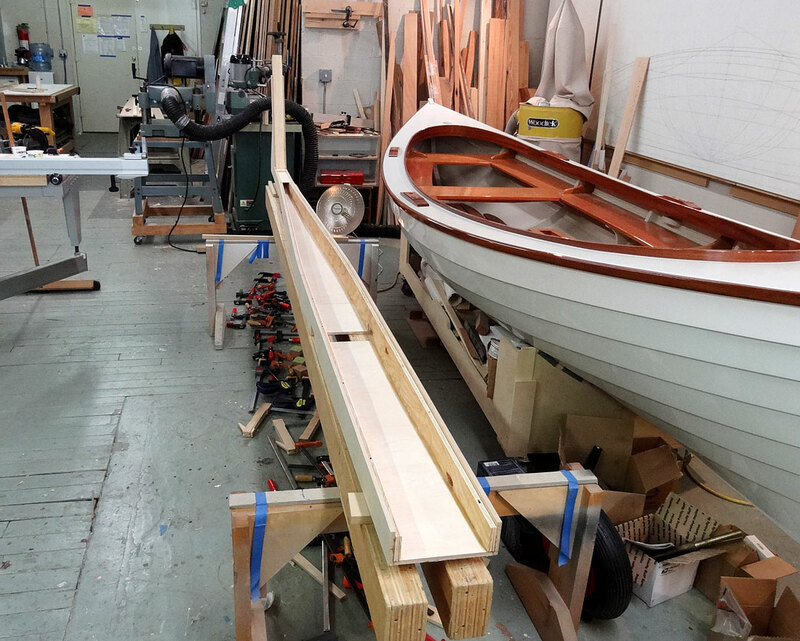 I've been working on a new boatbuilding shop at Sebago, a very nice 800 square foot shop with big sliding doors and benches, etc. 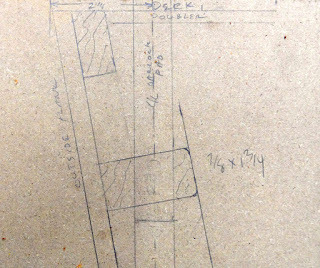 but more on that down the road. For now, let me catch us up quickly with some exterior hull painting that I completed a couple of months ago. 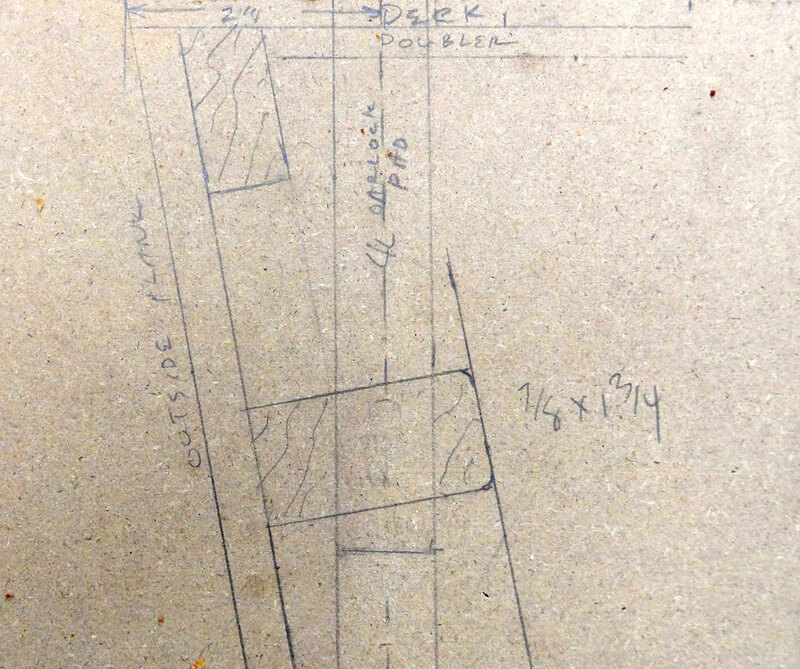 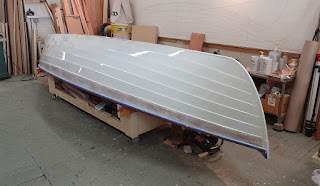 Before painting, I covered the plank keel with a single layer of 6 oz glass (for abrasion), and wrapped the interior of the daggerboard cut out as well. 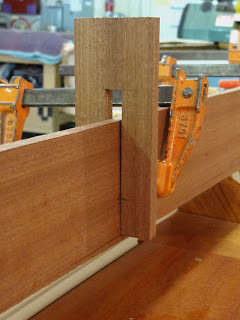 Glass is also folded down into the dagger slot. 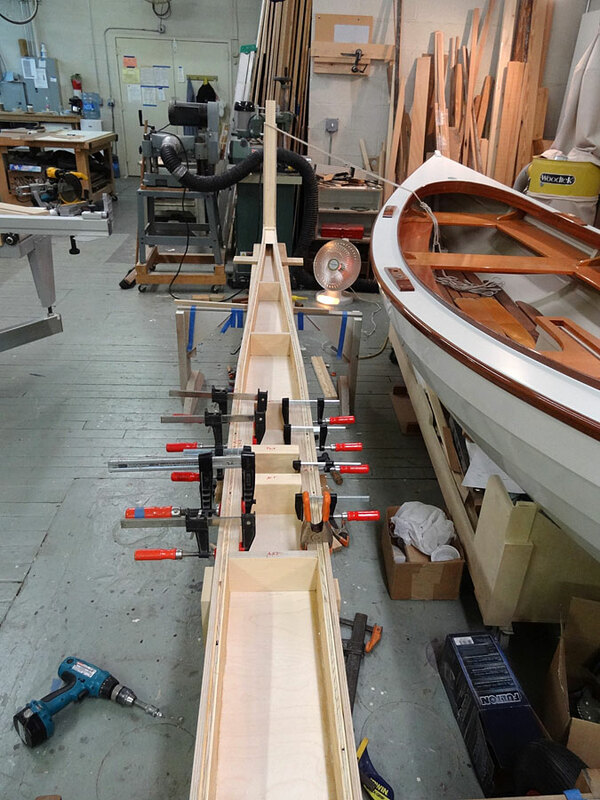 The interior of the dagger trunk was covered in glass cloth before I put it together, so the keel cutout application completed the covering. 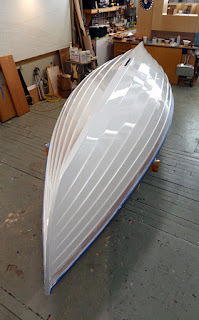 I scuff-sanded the glass, and filled the weave with a thin fairing mix, then faired in the overlaps before painting with Petit primer/underbody. 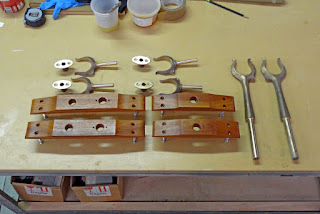 I spent a bit of time filling screw holes and touching up the lower plank scarfs. 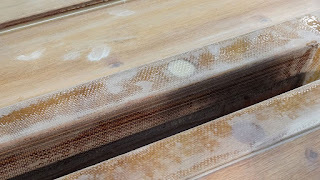 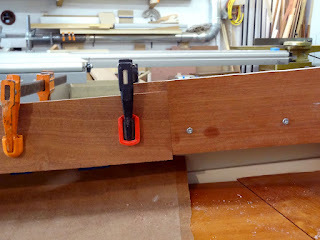 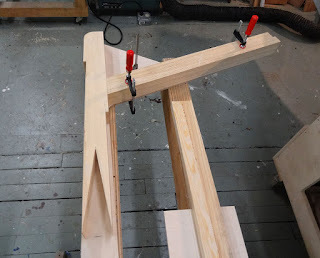 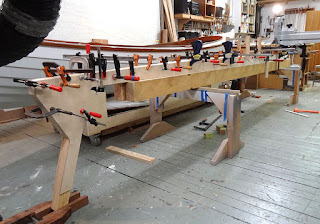 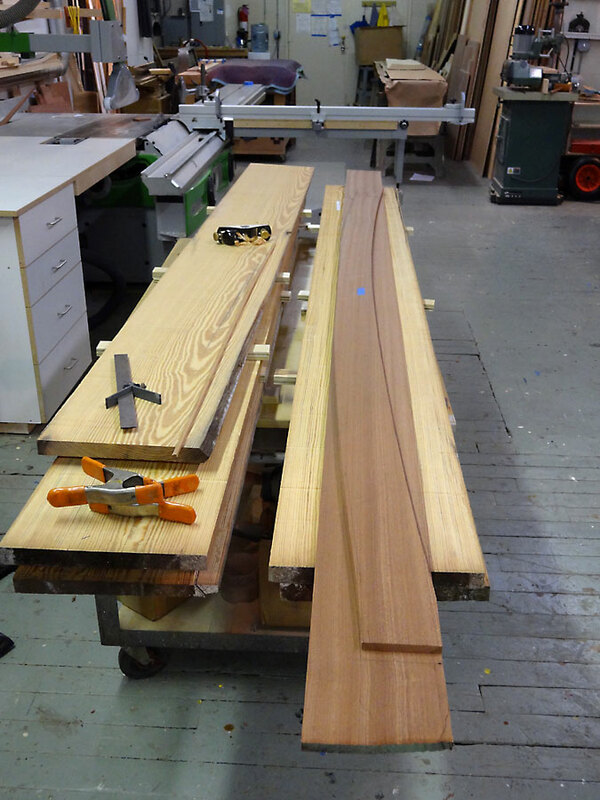 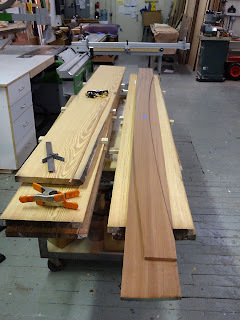 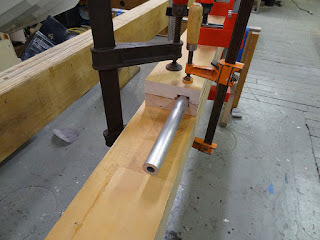 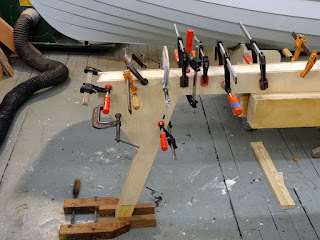 I had glued up the first few plank scarfs right on the boat, but was not happy with that result, so subsequent planks were scarfed on the bench (or floor) before hanging. 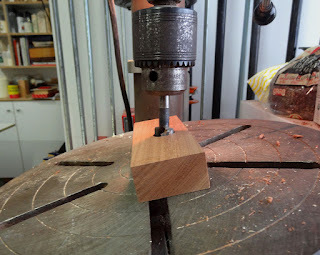 This was a much better method, at least for me. 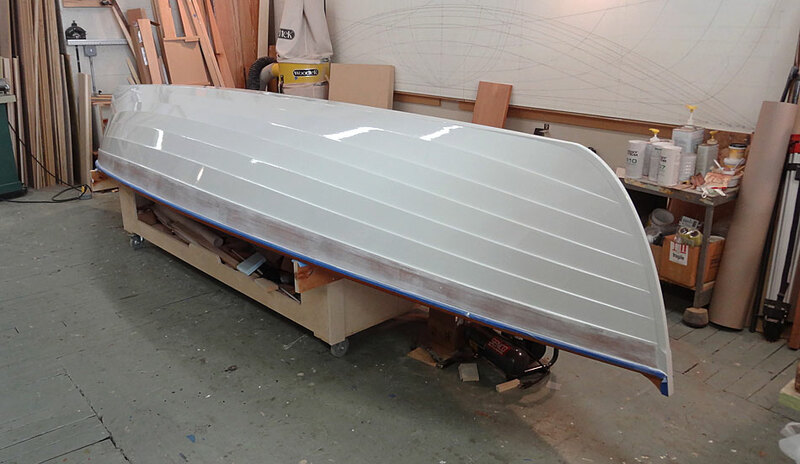 Petit primer/underbody is applied and sanded out. I then sanded out the primer with 220 tri-m-ite. 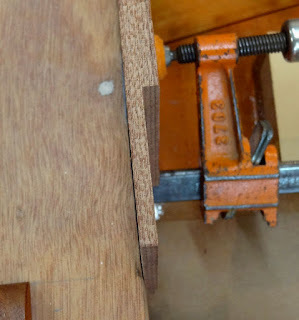 I was surprised at how many scratches and what-not that it filled. I probably could have used another coat of underbody, but I felt like it was good enough. 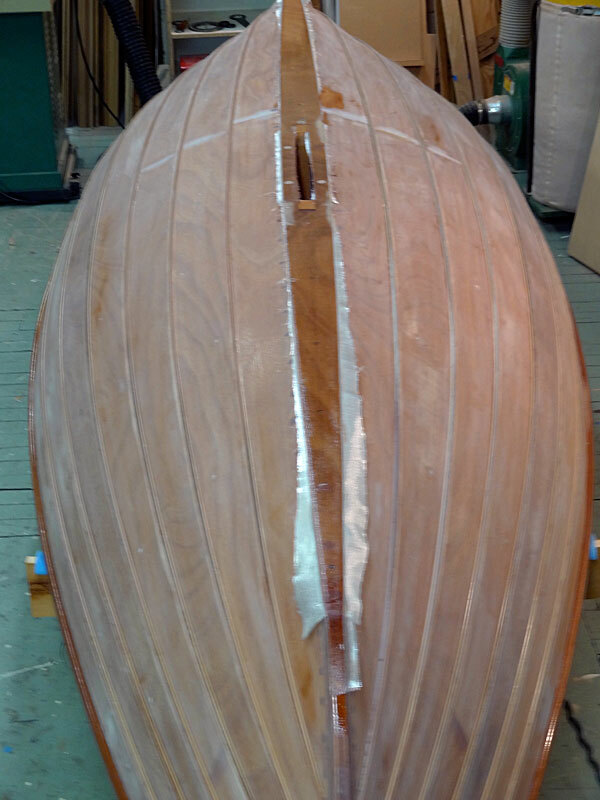 The proof is in the finish, and that speaks for itself! 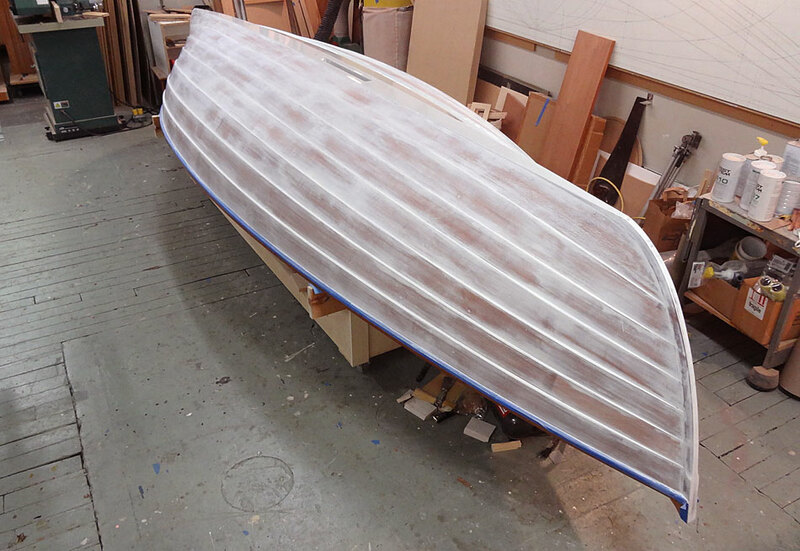 This is three coats of Petit Easypoxy Mist Grey. 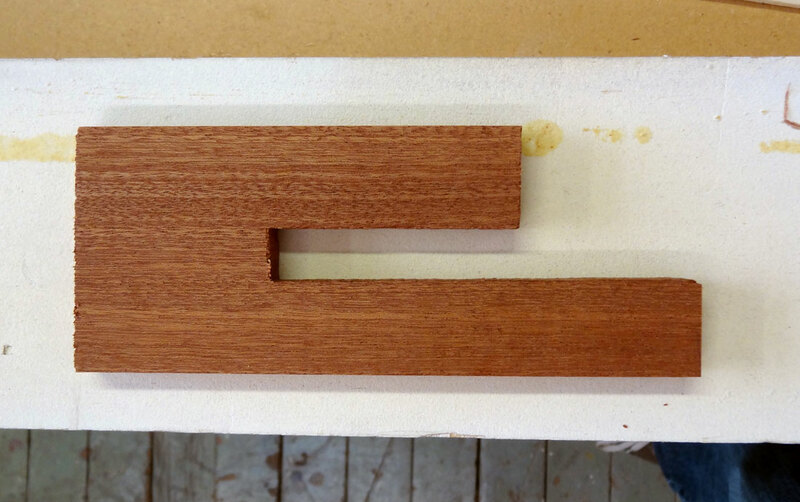 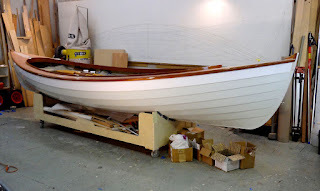 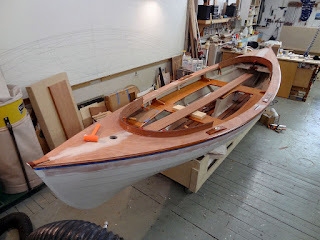 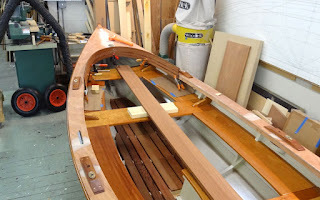 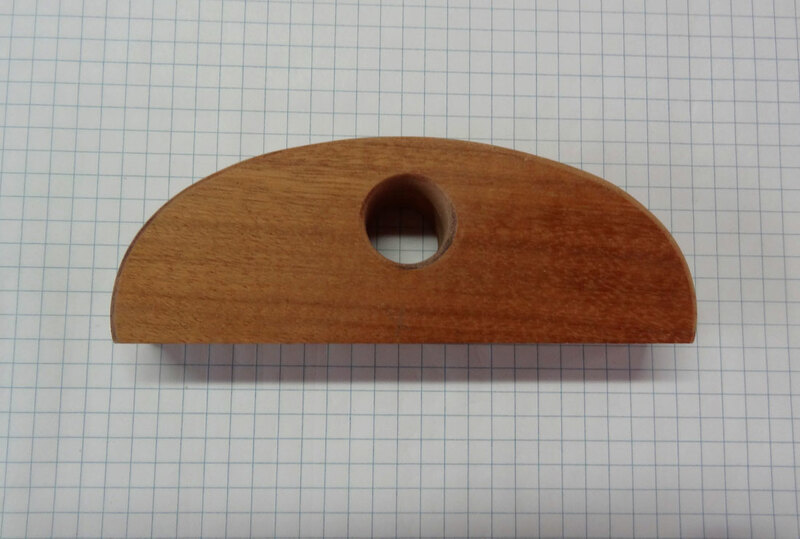 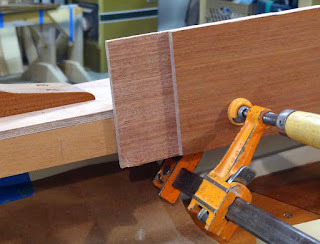 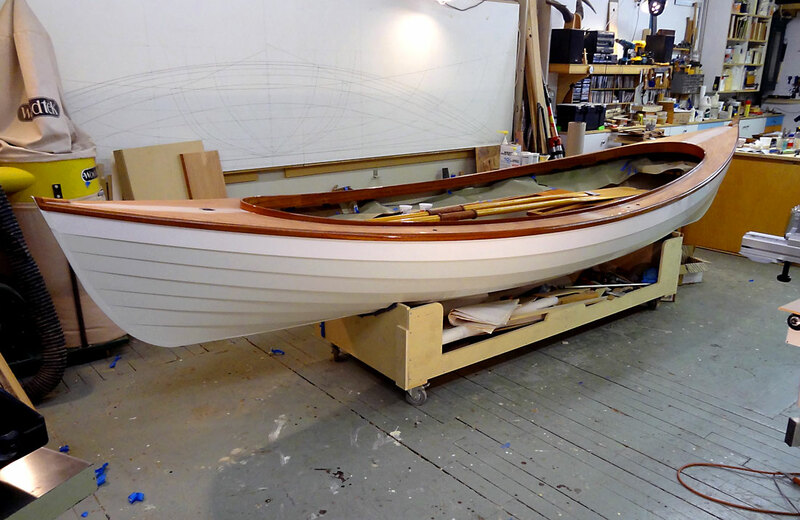 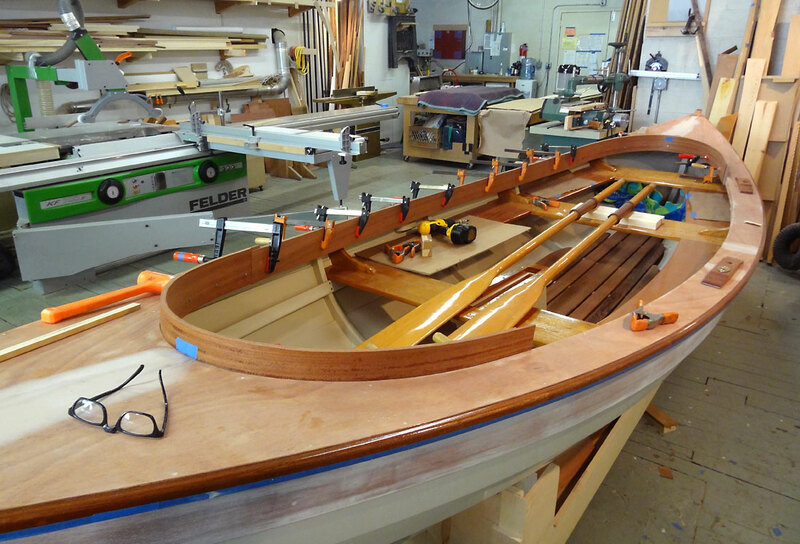 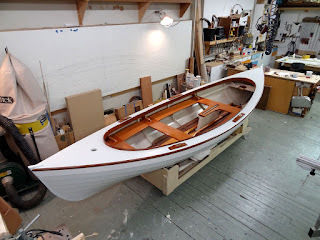 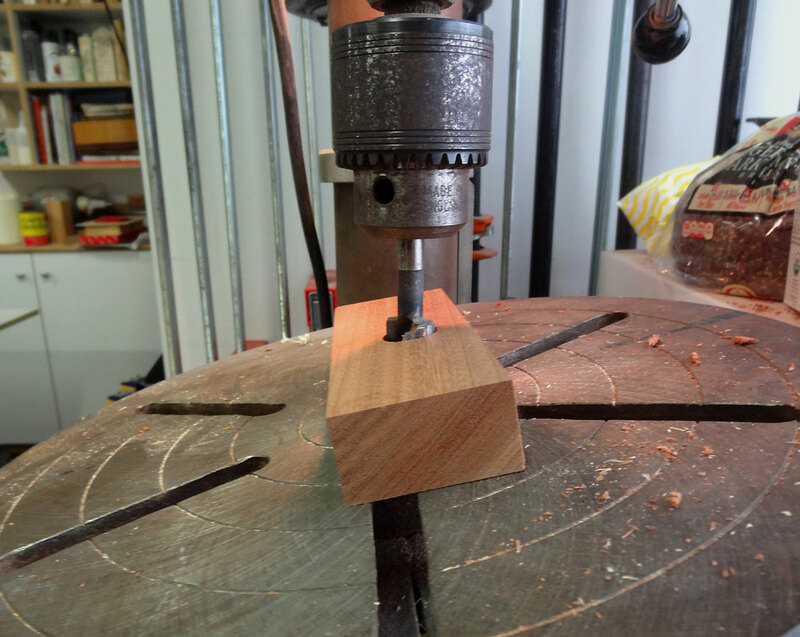 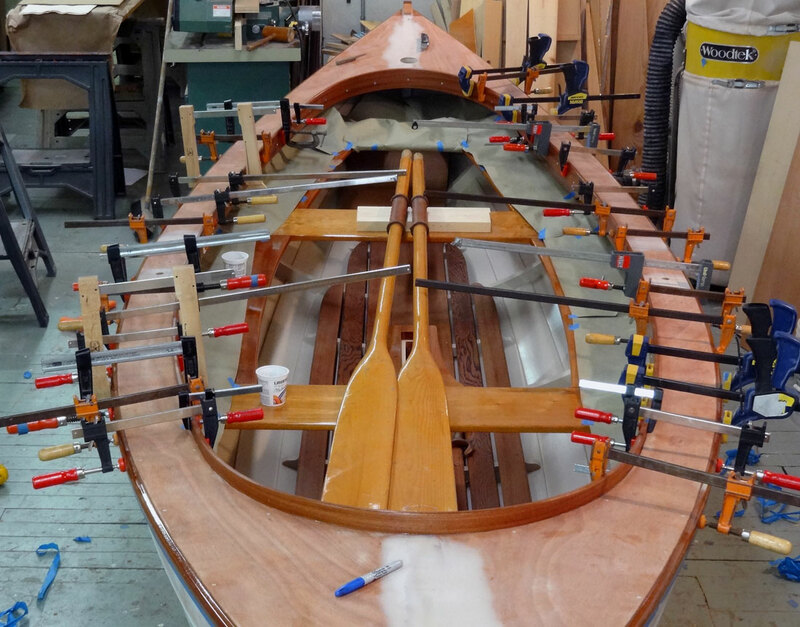 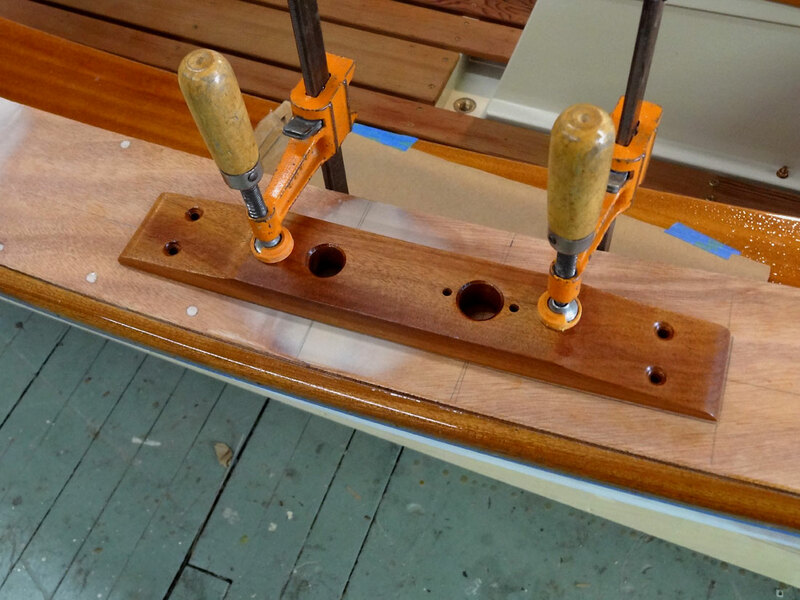 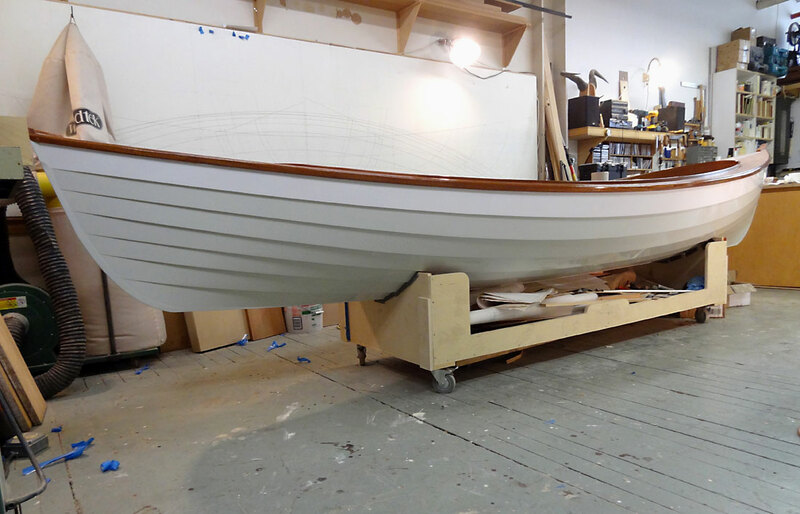 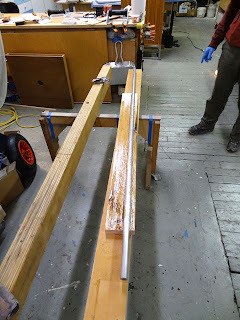 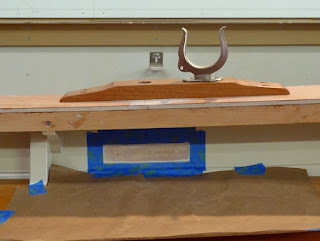 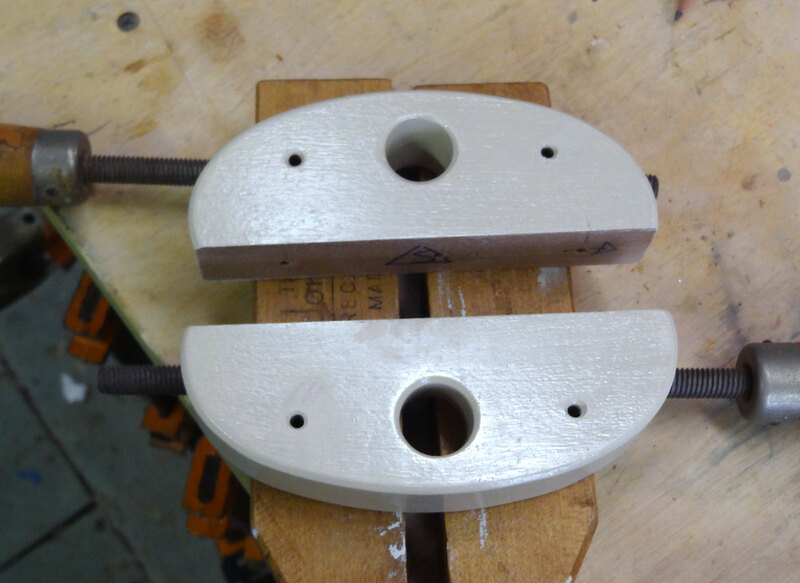 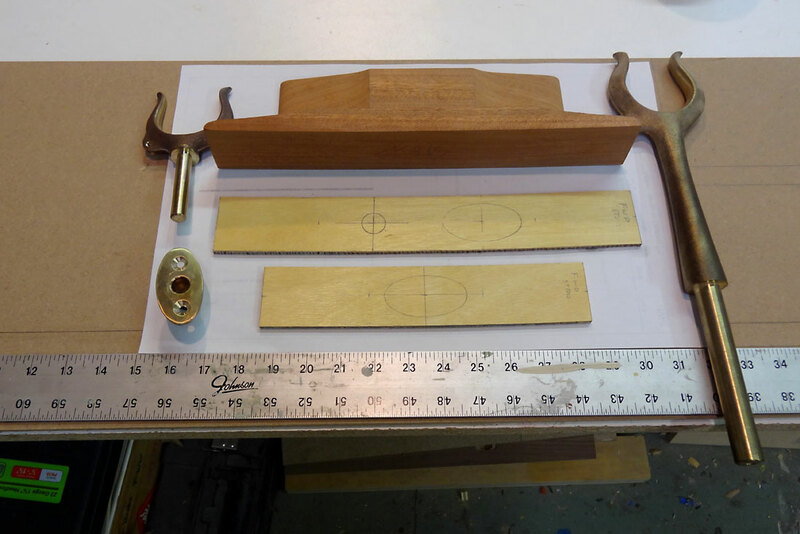 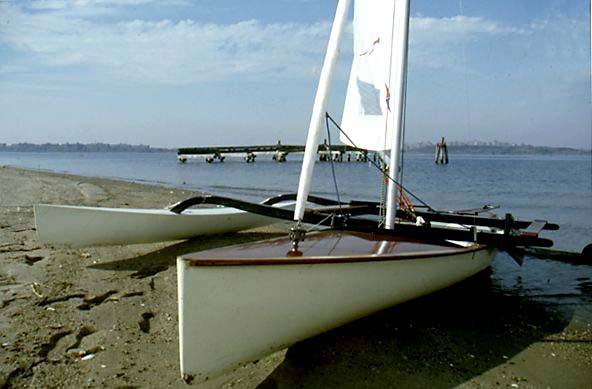 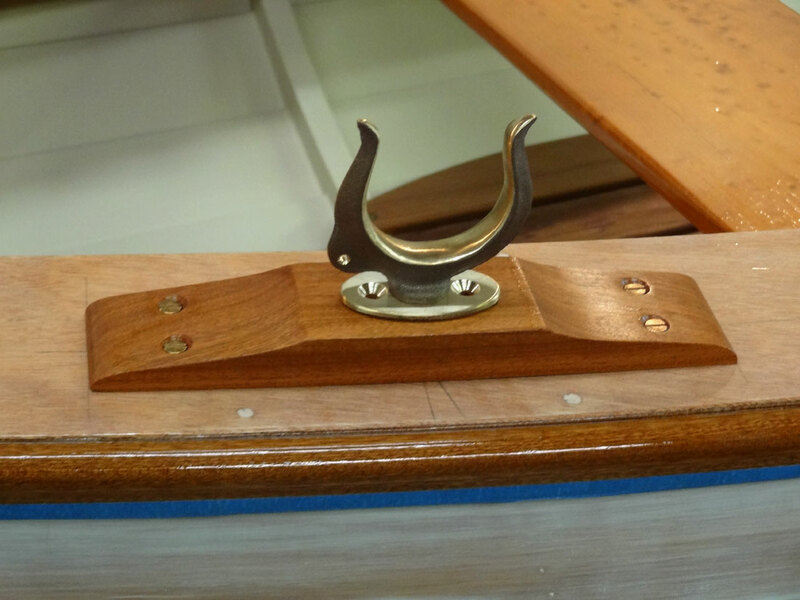 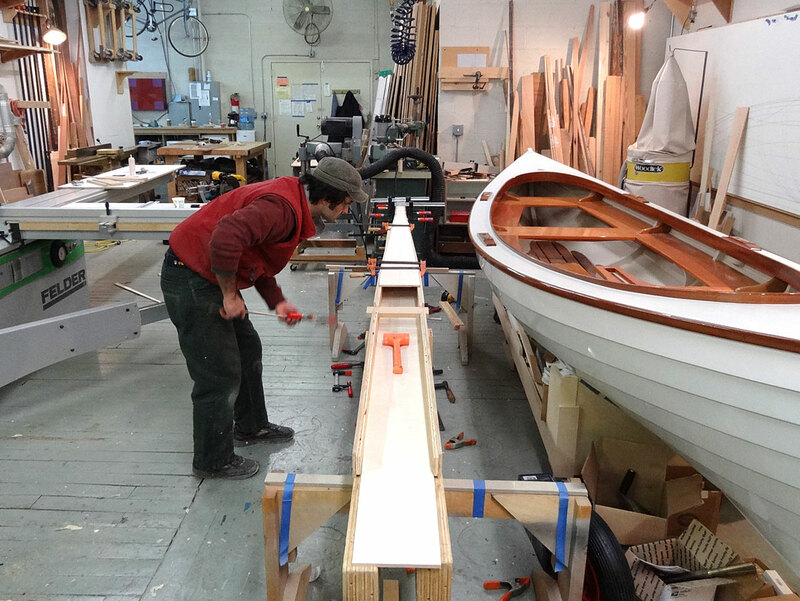 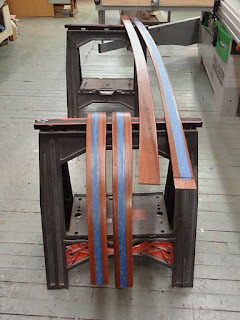 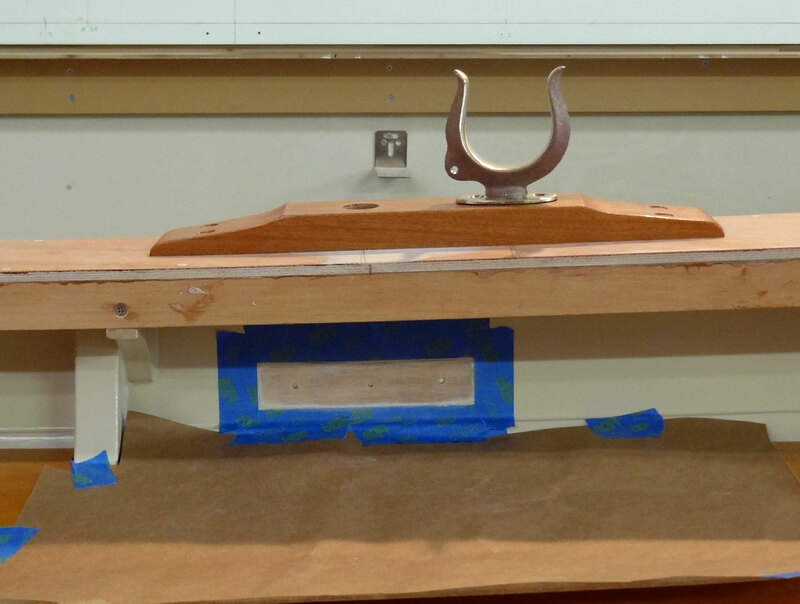 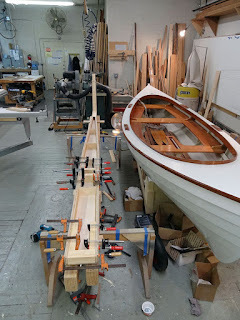 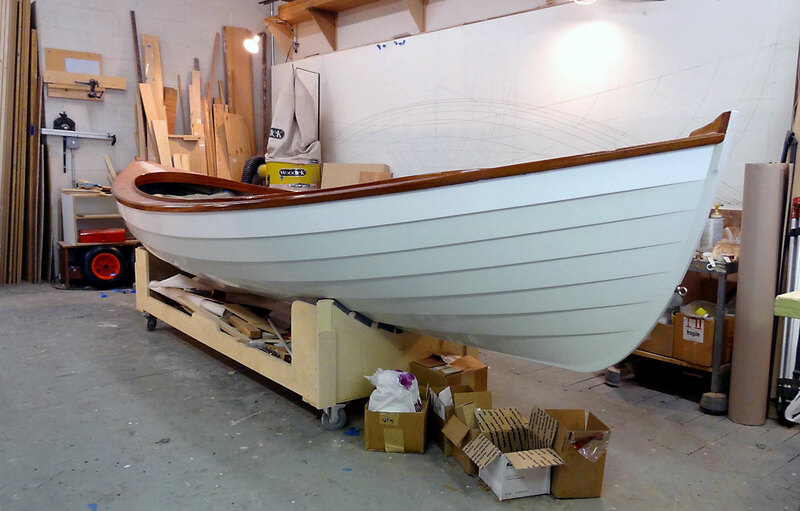 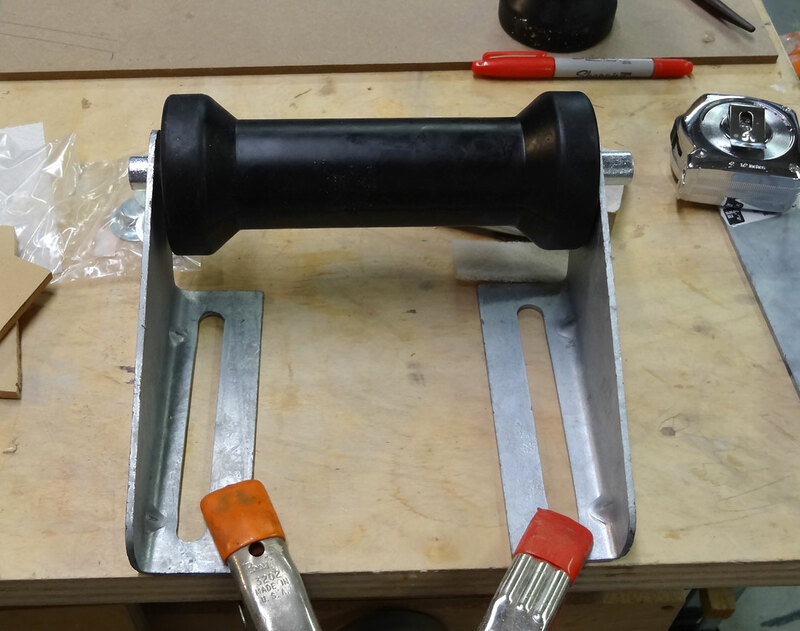 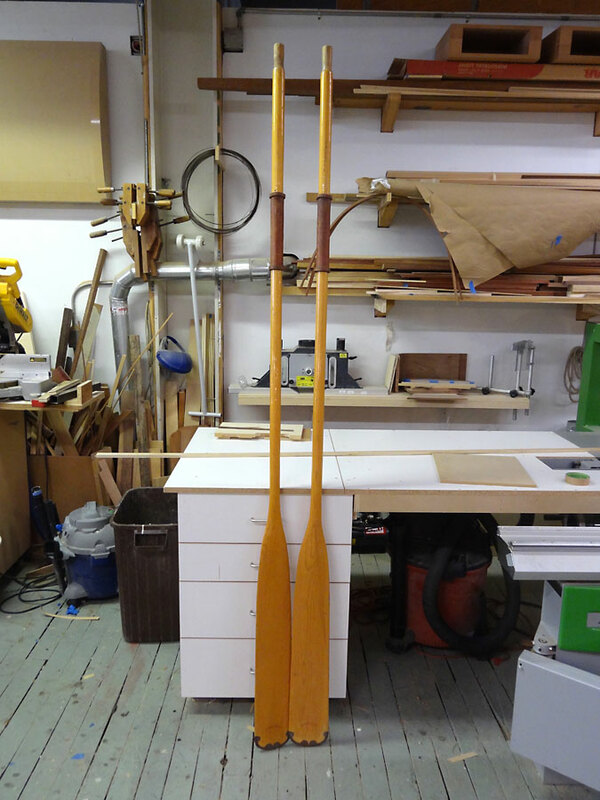 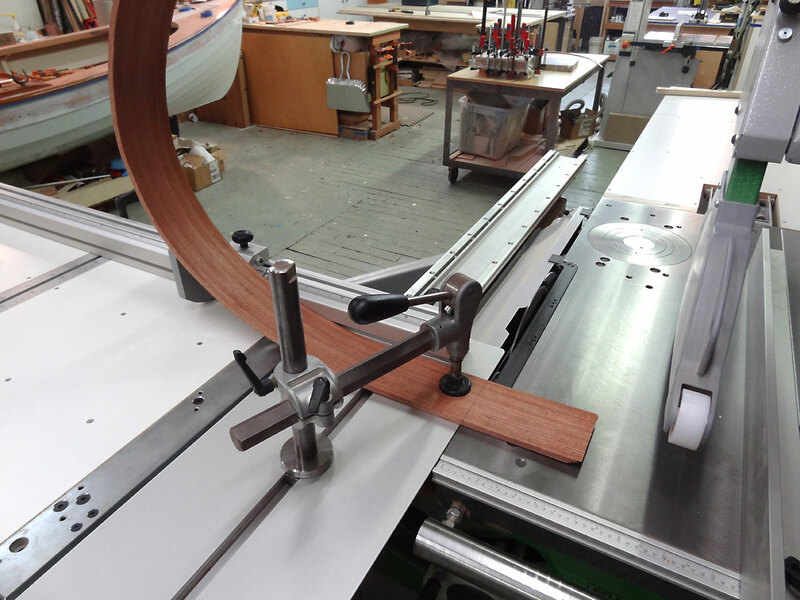 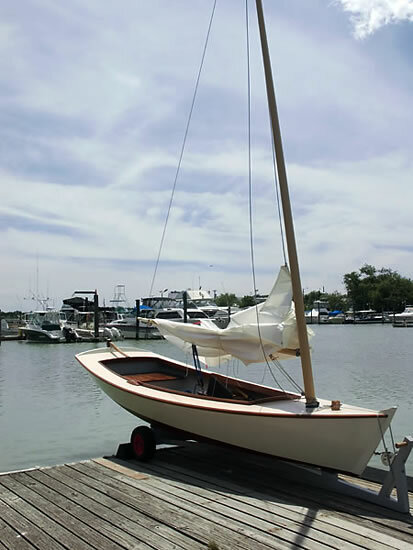 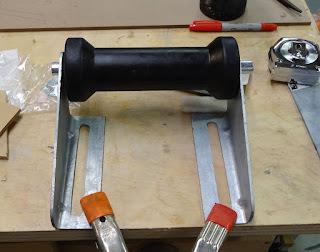 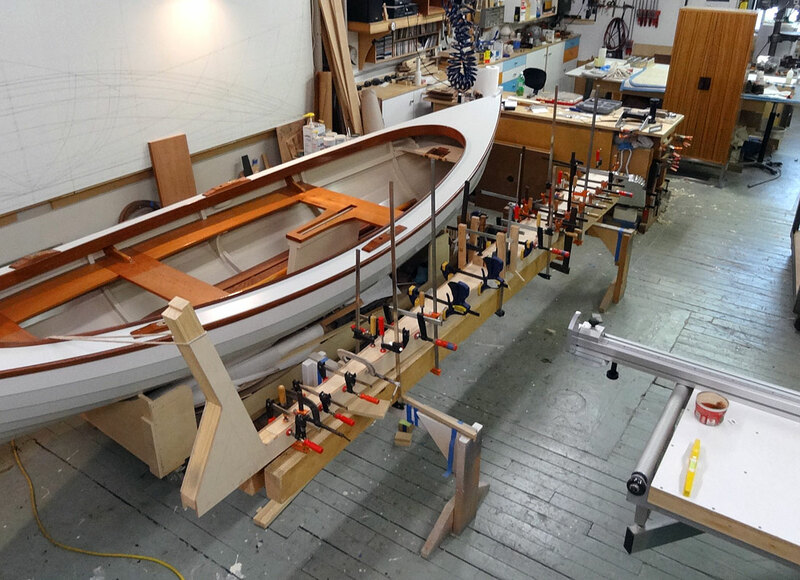 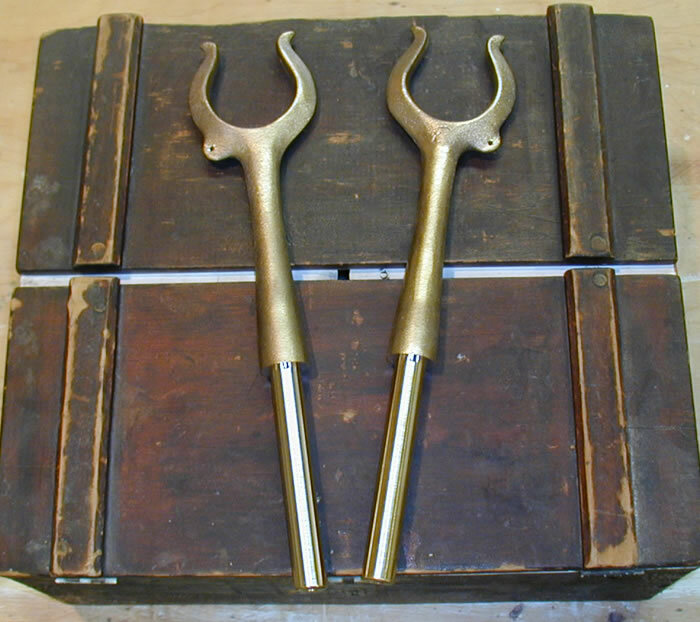 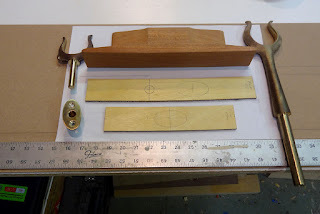 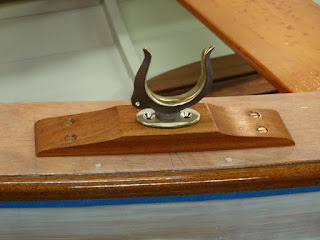 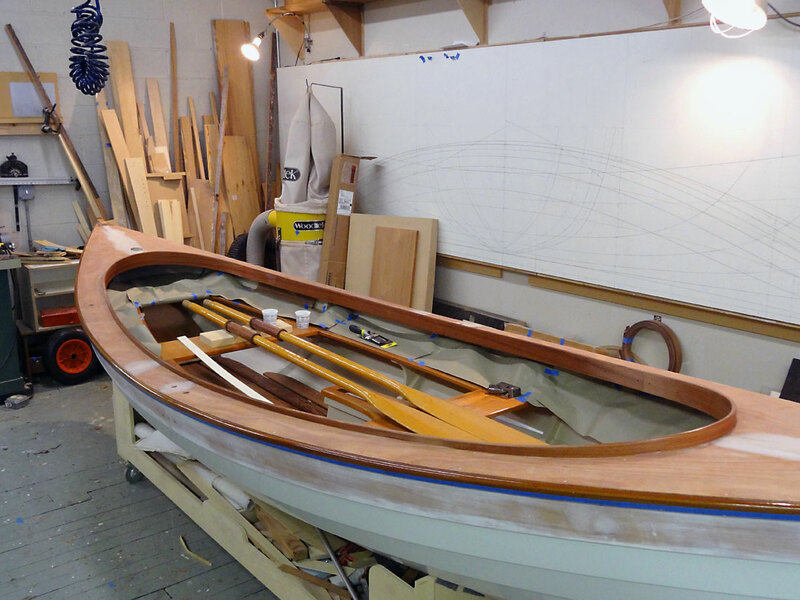 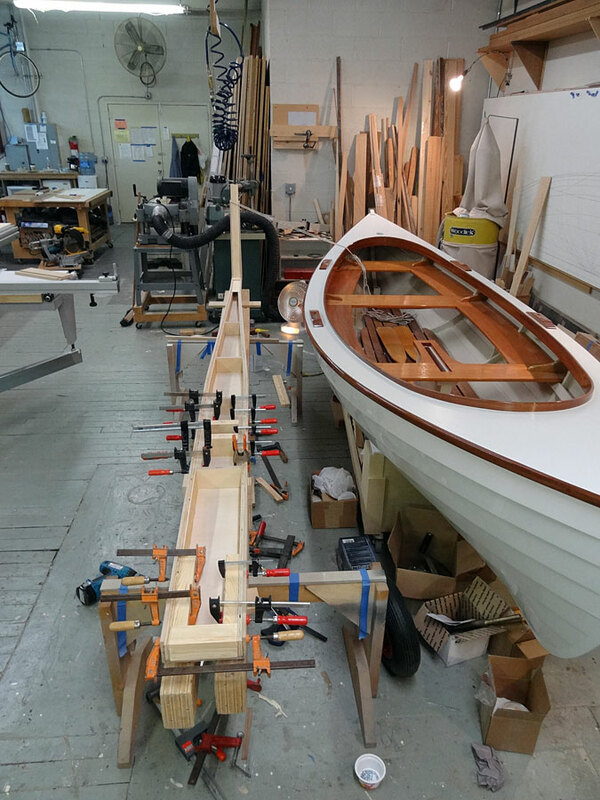 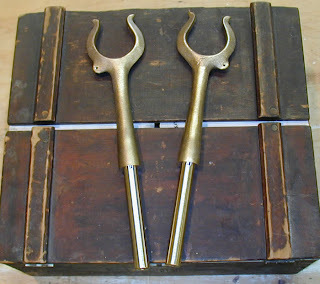 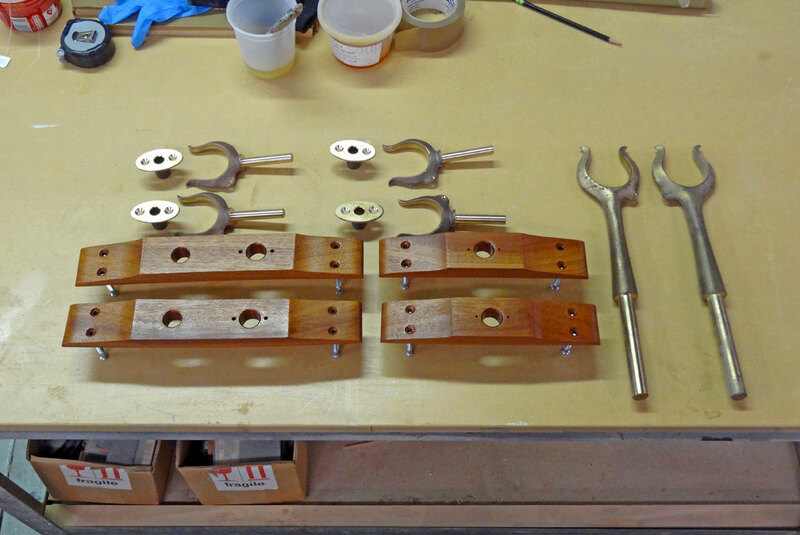 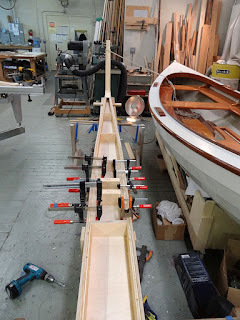 The sheer strake will be Hatteras White, which I'll do after fastening the stand-up oar lock support blocks. That is what we'll do next.